Did you know that March is officially recognised as being the month to enjoy noodles? There are so many different types of noodles available, but no noodles are more quintessentially Japanese than the humble soba noodle. Made from buckwheat, soba noodles have a great taste, are much more healthy than normal wheat noodles and are perfect for a variety of different Japanese dishes. There are also a variety of different types of soba noodles and we have two available at Japan Centre which are definitely a step up from the rest and ideal to make noodle month more interesting! 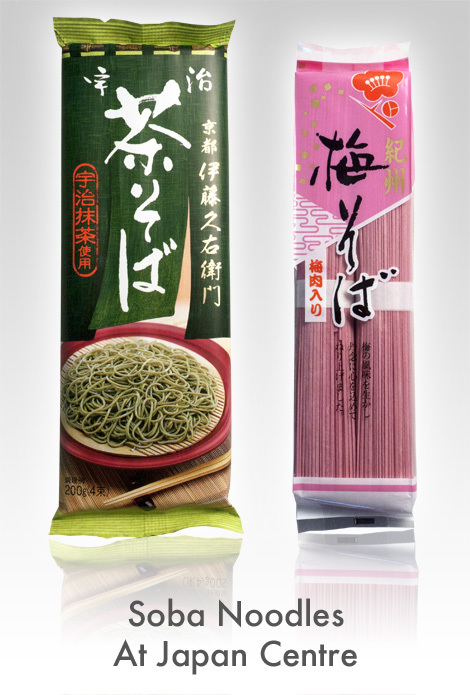 Introducing green and pink soba noodles! Posted in Food and tagged matcha, Noodles, Soba. Bookmark the permalink.